ESQUIMALT, BC – Lighthouse Brewing has announced that a popular draught-only brand is now available in bottles for the first time. Locally produced cold brew coffee and crisp, clean, craft lager are blended seamlessly to create a one of a kind beer. Subtle tones of hazelnut, cinnamon, and chocolate round out this distinct and refreshing brew, making Nightwatch Coffee Lager the perfect beer – day or night. 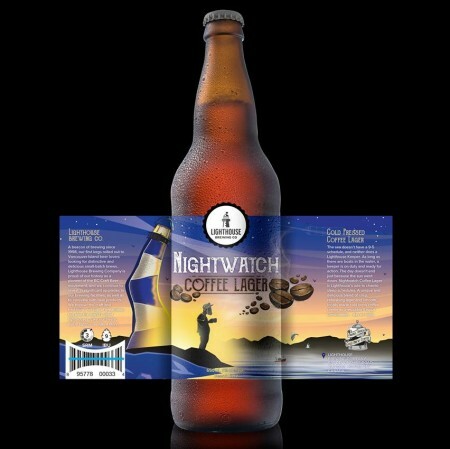 Nightwatch Coffee Lager is available now in 650 ml bottles at the brewery retail store, and soon at select private liquor stores in British Columbia.